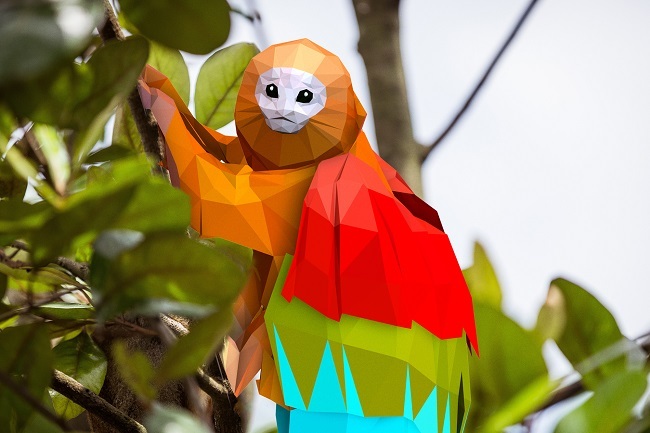 These virtual, whimsical animals are visiting from the future not only to entertain visitors, but to enlighten them about the impact that problems like climate change, deforestation and poaching could have on wildlife in the years to come. 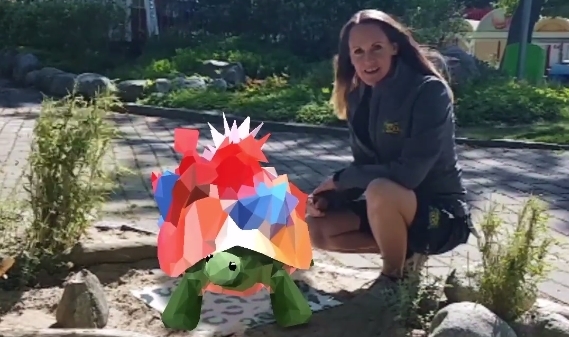 Similar to the game Pokemon Go, Digidjurgen uses augmented reality (AR) to blend the five digital animals with the real world of the zoo. To see, pet and feed Digidjurgen, park visitors download the free Digidjur app on their smartphones or tablets, then point the camera at “DigiPortals” located next to the enclosures. One of the Digidjurgen is Kanifant, a 6-inch tall pink African elephant who adapted to poaching by borrowing the characteristics of rabbits. “Kanifanten’s small size and fast legs allows it to quickly jump, fleeing danger, and bury itself in holes in the ground,” according to the zoo. Why is Kanifanten pink? Because, Parken Zoo explains, in addition to carrots, it likes to eat the zoo’s cotton candy. Another Digidjurgen is Coral Toad, a sea turtle that originated from the hawksbill turtle, “but because of the increased threat to coral reefs, developed to protect and transport the corals,” says the zoo website. The sea turtle attracts coral from endangered reefs to its shell and moves it to a safer location. 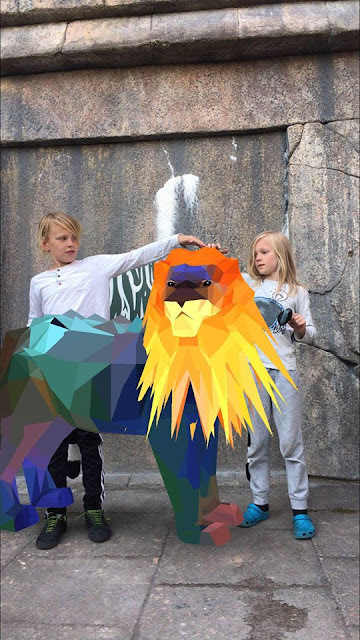 Responses to "Swedish Zoo Uses Virtual Animals to Raise Awareness of Endangered Wildlife"